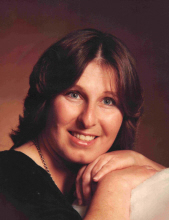 Mary Catherine Prichard, 68, of Harrisonburg, passed away Tuesday, January 22, 2019, at Sentara RMH Medical Center. Mary was born in Memphis, TN, on June 9, 1950, a daughter of the late Mary Ethel (Smith) and Leonard Lewis Caracofe. She retired from Waterman Elementary School in Harrisonburg and later returned to work part-time. On Aug. 3, 1983, she was united in marriage to Thomas Prichard, who survives. Mary is also survived by a daughter, Fonia Cook and husband, Benny, of Verona; sons, Raymond Lilly and wife, Stephanie, of Dayton, and Chant Prichard of Harrisonburg; sisters, Sandra Hudgins and husband, Spurgeon, and Debra C. Morse and husband, Paul; half-brothers, Bunny Troester, Bill Troester, and Bobby Troester; three grandchildren, Colten Cook, Stephen Lilly, and Evan Lilly; great-grandson, Wyatt Cook; nephew, Chris Caracofe; many nieces and nephews. She is preceded in death by brothers, Leonard M. Caracofe and Johnny D. Caracofe. The family will receive friends from 6 until 8 PM on Friday, January 25, 2019, at Johnson Funeral Service in Bridgewater. Burial will be private. Memorial contributions may be made to Rockingham/Harrisonburg SPCA, PO Box 413, Harrisonburg, VA 22803. To send flowers or a remembrance gift to the family of Mary Catherine Prichard, please visit our Tribute Store. "Email Address" would like to share the life celebration of Mary Catherine Prichard. Click on the "link" to go to share a favorite memory or leave a condolence message for the family.